Last week I received a special package: in exchange for a free trainticket (which I once bought but couldn't use before the deadline) Guusje sent me this envelope! 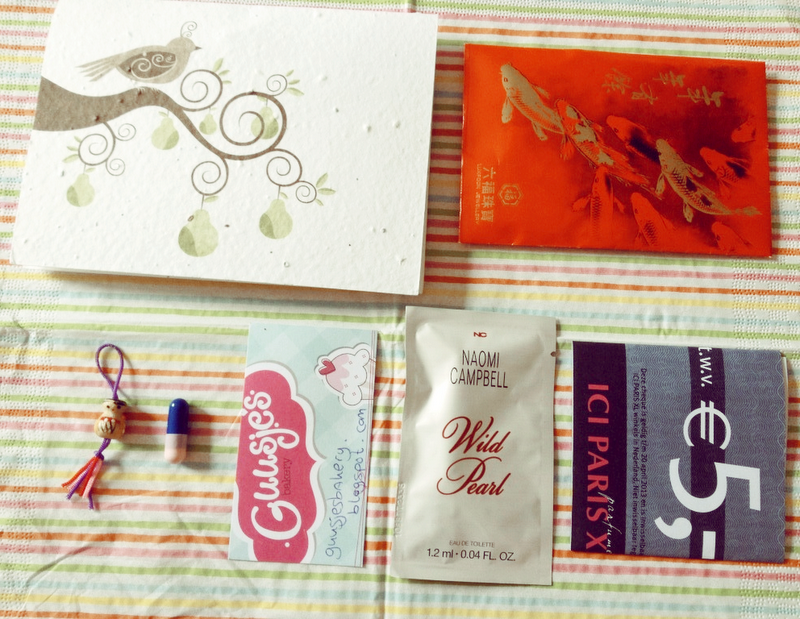 Filled with a card made of flower seeds (so if I put it in the ground, it will actually grow flowers! 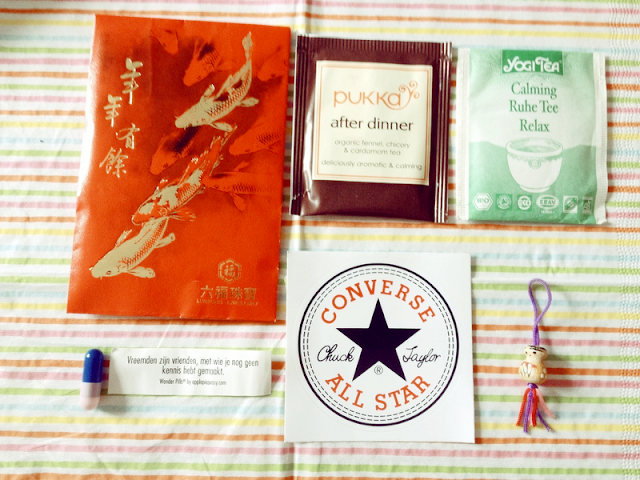 ), a lucky charm, tea, a converse sticker and a little message in a pil case! So awesome! 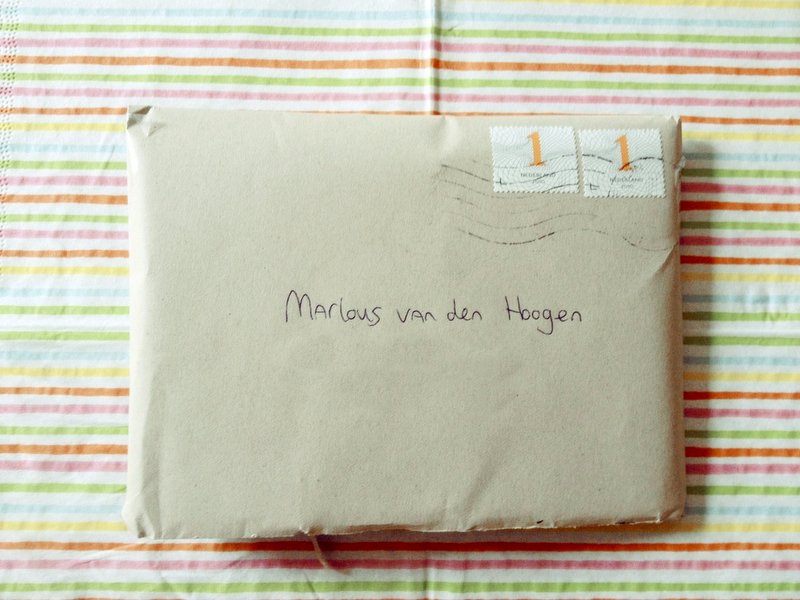 Thank you Guusje! Leuk!! Ik heb wat over je blog geschreven en volg je!